Set to enter the Indian aviation market, AirAsia will target the large pool of people who have never flown before, offering very low fares. It is unusual for a top airline executive to stand at a railway station or a bus stand and observe travel behaviour. Amisha Sethi has been doing just that since taking over as the chief commercial officer of AirAsia India in July. The exercise is part of a plan to attract virgin fliers, as the lowcost carrier prepares to start operations by the end of this year. "Airlines try to build an image about the kind of passengers they fly," says Mittu Chandilya, CEO of AirAsia India, elaborating on the strategy. "We want to break that image." It will, however, require a lot of hard work. Especially in India, where existing airlines are struggling to make money. A recent report by consultancy Centre for Asia Pacific Aviation (CAPA) said local carriers, excluding state-run Air India, were staring at a combined loss of $400 million to $450 million for the July-to-September quarter. The report said that recent discounts on fares by airlines have failed to boost traffic while expenses remained high due to costly fuel and a weakening rupee. So how will AirAsia buck this trend, keep costs under control and offer the low fares it is famous for? 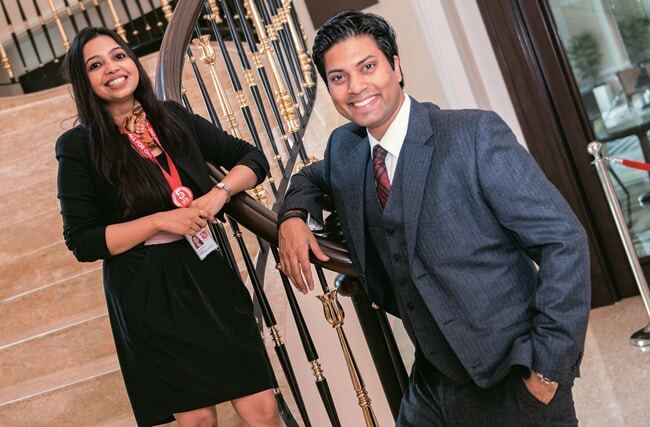 Can Chandilya, a 32-year-old former model and entrepreneur and his young team do it? Some aviation analysts feel AirAsia India - a joint venture of Malaysia's AirAsia Group, India's Tata Group and the Arun Bhatialed Telestra Teleservices - needs more experienced management given the tough domestic market. Sethi, the bubbly and raring-to-go telecom marketer who previously worked with Bharti Airtel and BlackBerry, laughs this off. "You do not need grey hair to make it happen," she says. "You need grey cells." What AirAsia plans to do is add a segment of fliers that other carriers do not cater to. People who use the rail and road networks are its target customers. This is something akin to what G.R. Gopinath, the pioneer of low-cost aviation in India, tried seven years ago with his airline Air Deccan. Gopinath's venture could not survive with that game plan and sold out to rival Kingfisher Airlines, which itself is now grounded. Chandilya, who was named as the airline's India CEO in May, is undeterred. "I want people to board flights who do not know how to walk up the ramp," he says. "It might be a risky strategy but this does not bother me because that's a huge market and we will educate them." Will the airline bypass corporate or business fliers? Not entirely. Chandilya says AirAsia will keep 20 of 185 seats on its aircraft for this category of fliers, who will get more legroom and a buggy cart to ferry them to the aircraft at a little extra cost. "The corporate guys who want to travel with AirAsia and want a little bit more exclusivity will get it, but the entire proposition of the business model will not be made to suit them," he adds. So, essentially a fisherman with his fish and a floriculturist with his cargo of flowers will be rubbing shoulders with business travelers flying AirAsia. "I am aggressively targeting virgin fliers. That is a big part of my strategy," says Chandilya, who would have been a tennis player had it not been for a knee injury. What is the size of this segment? "The flying population in India is anywhere between 50 and 60 million and the total population is 1.2 billion. So I have that much of an opportunity and we are really focusing on this." To attract the entirely new set of fliers it is targeting, AirAsia will require an innovative game plan for marketing and distribution. Sethi, who is in charge of sales at the airline, says AirAsia's marketing campaigns will "cause major disruptions". The airline will also target potential customers through social media networks such as Facebook and Twitter. Keeping in mind the complexity of the Indian market, AirAsia will also change its distribution strategy of allowing online travel portal Expedia to exclusively sell its inventory. But it might steer clear of some established players and look for entrepreneurs who trust AirAsia. Chandilya says he has "no illusions" that the established travel portals will promote airlines that are already their top clients. "I will not go begging to them. I will go with somebody who is rather willing to invest in us and grow with us and cut teeth with us," he says. MakeMyTrip.com, one of the largest online travel portals in India, partially disagrees with Chandilya. Keyur Joshi, Chief Commercial Officer at MakeMyTrip, says the portal also works with regional airlines like Air Ventura. But it agrees the Indian aviation market is highly under-serviced. Joshi says AirAsia brings a new, exciting dimension to the Indian market by targeting smaller cities and towns. "There is plenty of opportunity for existing and new entrants," he adds. To begin with, AirAsia will focus on southern India. An important part of AirAsia's strategy is opening up new routes in the region and selling destinations that are of tourists' interest. "No airline in India has focused on the south the way we are going to," says Chandilya. AirAsia will also leverage the flow-through traffic from Southeast Asian countries including Malaysia and Thailand, where its group companies already operate low-cost carriers. Travel trade experts say almost half the people flying to Southeast Asia from India are from southern states. Chennai, AirAsia's India base, is a melting pot of intra-region travel. "AirAsia has 43 million passengers flying. It is a huge database and it is this large number of passengers we are looking to bring to destinations in India," says Chandilya. The airline will offer point-to-point connectivity using a hub-and-spoke model between metros and smaller cities. It aims to develop four to five hubs in India by 2014. Besides Chennai, southern India will get two more hubs. Hyderabad, Bangalore and Kochi are among the cities it is considering. It hasn't finalised the list of smaller cities and towns it will fly to, but says it will consider any airport in the south where an Airbus A320 aircraft can land. 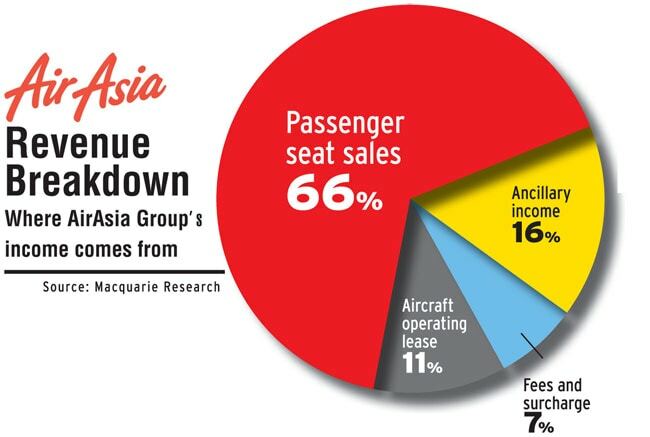 The key to AirAsia's success, however, is low fares. The airline is benchmarking its base fares in India against first-class rail tickets. It plans to price its base tariff about Rs1,000 more than rail fares. This will require a strict check on expenses. 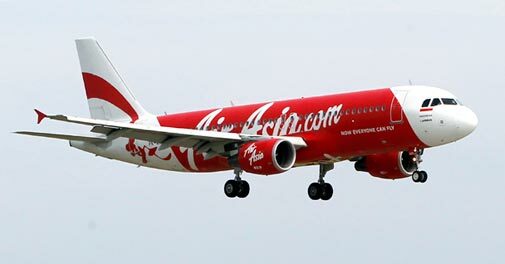 Analysts say AirAsia India can lease planes at lower interest cost from its Malaysian parent, which has ordered 375 aircraft from European plane maker Airbus. The airline can also drive hard bargains on maintenance and spares contracts. To keep operating costs low, the airline will have a lean staff structure. It is targeting 80 to 100 employees per aircraft initially and 60 employees eventually. In comparison, other airlines in India have a ratio varying from 102 to 185 employees per aircraft. Chandliya, who joined the airline taking a pay cut, is negotiating hard for every contract - be it with employees, vendors, airports or marketing agencies - to keep costs down. "For cabin crew recruitment everything is negotiated down to the bare bones. We make sure contracts are performance-based without a heavy base," he says. The airline has a staff of 200 and is going slow on hiring till it gets all regulatory clearances. "Every month that goes by (without operating) means you'll be bleeding more," says Chandilya. Aviation experts dismiss this strategy of cutting down on manpower to save costs. "Human capital costs are not more than 10-18 per cent of an airline's total cost. So, AirAsia will not achieve much by keeping a lean structure," says Mark Martin, Founder and CEO of Martin Consultancy, a Dubai-based airline advisory firm. Martin, who previously worked with Indian budget airline SpiceJet, also questions AirAsia's model of keeping costs comparable to rail tariffs. "For an Indian consumer rail and air travel are designed to serve specific purposes. Nowhere in the world are airlines trying to compete with rail," he says. "AirAsia needs to evolve a localised model." To avoid higher costs in aircraft parking, navigation and landing charges, AirAsia will bypass Delhi and Mumbai airports. These two increased airport charges more than four-fold last year. Chandilya says the country's two busiest airports also face congestion issues, which result in higher fuel costs. All these efforts, hopes Chandilya, will help the airline start making money from the third month of its operations. But that maybe a tad too optimistic, feel analysts. "The initial 12 to 18 months will be very challenging for AirAsia," says Kapil Kaul, South Asia head of aviation consulting firm CAPA. Kaul says the $30 million that AirAsia India's founders have committed in initial capital indicates that the airline is undercapitalised. He doubts the airline will be able to achieve the cost structure it wants in the near term, given the difficult local market conditions. Chandilya is determined, though. He shrugs off a delay in receiving regulatory clearances that have made it unlikely for the airline to start operations by November as it earlier intended. "These are just distractions," he says. "I am bullish about getting clearances. They should be right around the corner." He isn't worried about the competition either. Airlines in India, he says, have reached a point where it is difficult for them to lower fares further due to their heavy cost structures. It will be easier for a start-up like AirAsia to keep costs and fares low. Of course, rivals may still try to bring the fares down. He is unfazed. "Let them do it," he says. "It works better for us because then they will be playing the game in our arena and we can make them bleed heavily."